It's a pleasure to share with you my favorite ways to start growing food. I know they will help you to jump-start or expand your garden quickly and easily. Click the red button below to download Garden Now! 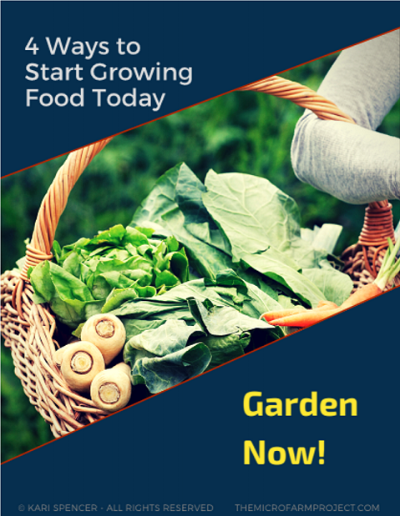 4 Ways to Start Growing Food Today! Then check your inbox. You will receive a welcome email soon with links to urban farm & garden resources. If you have any questions, reply to the email to get in touch with me.